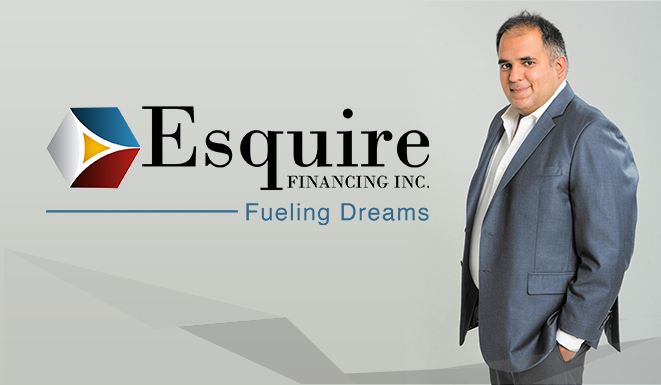 MANILA, Philippines — PLDT Enterprise kicks off the last quarter of the year with a bang with the 2018 MVP Bossing Awards. Raking in over 500 guests — made up of both new and old awardees, as well as the group’s most esteemed clients — this year proved to be the grandest and most historical iteration of the event yet. Held at the Grand Ballroom of Grand Hyatt Manila in Bonifacio Global City, guests were greeted with a larger than life interactive hall of fame that showcased the MVP Grand Bossing Awardees of years past. Adorned in black, gold and red trimmings, the ballroom was indeed suited to award the country’s top entrepreneurs and trailblazers. To begin the night’s festivities, hosts Miss World 2013 Megan Young and TV journalist Atom Araullo called on SVP & head of PLDT and Smart Enterprise Business Groups Jovy Hernandez for the opening remarks. “Tonight, as we unveil our new roster of Bossings, we hope that their stories and legacies continue to inspire the Filipino entrepreneur,” Hernandez said. Balladeer Jed Madela—together with the AMP Band, led by maestro Mel Villena — then followed with a powerful medley of “Go The Distance,” and “I Believe,” alluding to the journeys of success of this year’s winners. Following the musician’s number, guests were then served with a sumptuous three-course spread. After which, Hernandez, together with FVP & head of PLDT SME Nation Mitch Locsin, FVP & head of PLDT ALPHA Vic Tria, and 2010 MVP Bossing Awardee and Presidential Adviser for Entrepreneurship Joey Concepcion then came onstage as presenters of the night’s awards. Each awards category was headlined by the key values of a Bossing, namely, a commitment to excellence, fearlessness and integrity. The first to be awarded for the night were the Special Awards, followed by the MVP Bossing Awardees — both of which recognized individuals whose successes were paved by a relentless commitment to excellence. For the Special Awards, Bellas Artes Projects founder Jam Acuzar was recognized as the recipient for Excellence in Corporate Social Responsibility because of her work in promoting local art and community development, while Mandaluyong City Mayor Menchie Abalos, was given the Excellence in Public Service Award for improving the lives of her constituents through digital transformation. Receiving the award on her behalf was her husband and former Mandaluyong Mayor and Congressman Benhur Abalos. 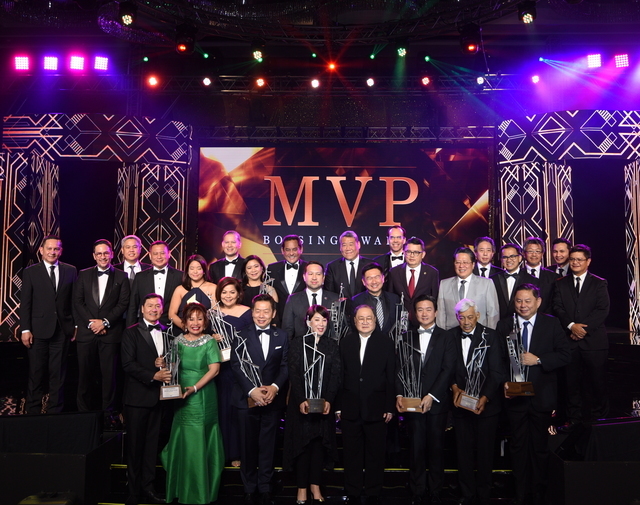 Among winners for this year’s MVP Bossings on the other hand were Mary Grace Dimacali, founder of Mary Grace Foods Inc.; Margarita Forés, founder of Cibo; Johnlu Koa, founder of The French Baker Inc.; David Leechiu, CEO of Leechiu Property Consultants; Benjie and Maan Lolim, founders of LDP Farms; Richard Sanz, CEO of The FoodAsia Group; Dioceldo Sy, chairman of Ever Bilena Cosmetics; Raj Uttamchandani, chairman and CEO of Esquire Financing Inc.; and Delfin Wenceslao Jr., Director & chairman of the Board at D.M. 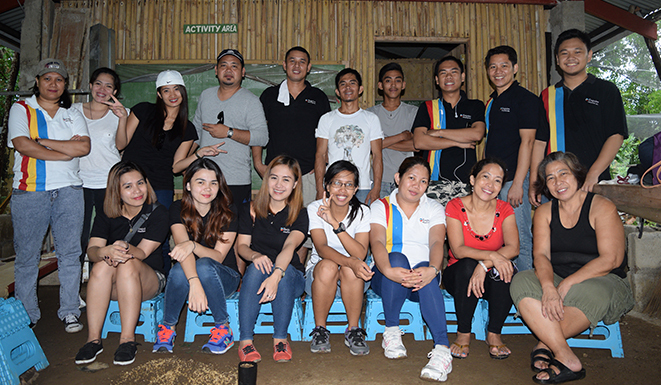 Wenceslao and Associates Incorporated. Hernandez, Tria, Locsin, and Concepcion were then joined on stage by PLDT chairman and CEO Manny V. Pangilinan, 2010 MVP Bossing Awardee and Potato Corner founder Joe Magsaysay, 2011 MVP Grand Bossing and Lamoiyan Corporation CEO Dr. Cecilio Pedro, and 2013 MVP Grand Bossing and founder & CEO of Golden ABC Inc., Bernie Liu to welcome the succeeding set of winners. Next up was the MVP Grand Bossing Award — an accolade given to an individual whose career had embodied the virtue of fearlessness. Shipping magnate Doris Magsaysay-Ho, A. Magsaysay Inc,’s president and CEO, took home the prestigious award for how she transformed the hospitality and maritime service industry through the Magsaysay Training Center. “I can’t imagine receiving an award for something I love to do — this is something I learned from my father. He taught me how to love shipping, he taught me how to love business, he taught me to love everything we do — every minute of it,” a humbled Magsaysay-Ho said, waxing nostalgic. Before announcing the night’s biggest honor — the MVP Bossing Lifetime Achievement Award — which was to be bestowed upon an individual who had built his career with an unwavering honesty and commitment to his entrepreneurial vision — Jed Madela and Yeng Constantino took to the stage to duet “Rise Up,” an anthem of triumph fitting for the event. 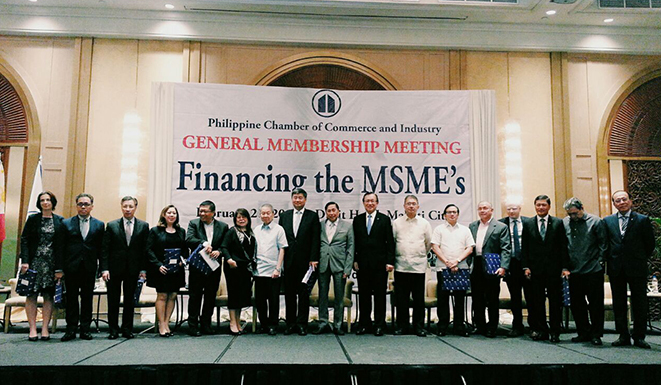 Following their moving rendition, Pangilinan then proudly named Metrobank founder and group chairman Dr. George S.K. Ty as the inaugural recipient of the said award, given how he had put up one of the country’s premier financial institutions. Receiving the award on Ty’s behalf was his son, Co-Vice Chairman of GT Capital Holdings Inc. Alfred Ty. “With this award, we affirm in history that Mr. Ty is — and will always be — an authority in Philippine banking,” the younger Ty said proudly. “On behalf of our lifetime awardee Dr. George S.K. Ty, and my family members who are with me this evening, together with our senior officers of the group of companies — led by Francis Sebastian and Fabian Dee — allow me to thank everyone for this honor,” he later added. 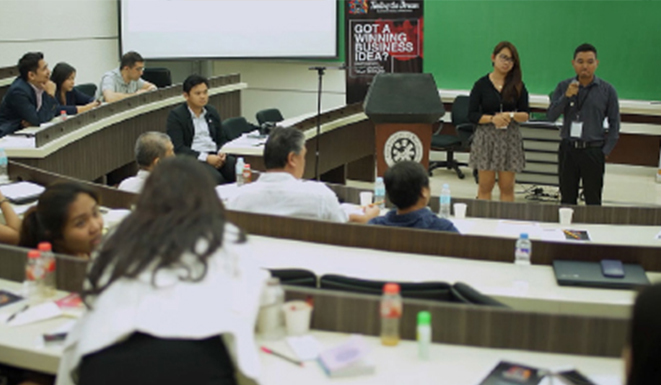 "In the last decade, the MVP Bossing Awards has sought to recognize business leaders responsible for placing the Philippines at the forefront of entrepreneurship. Our 2018 Bossings have indeed set the bar, equipping fellow entrepreneurs with the most favorable business landscape — and that is definitely worth celebrating," PLDT & Smart chief revenue officer and ePLDT president & CEO Eric R. Alberto said of this year’s awards night. This year’s MVP Bossing Awards has indeed outclassed previous iterations in both scale and impact — further promoting PLDT Enterprise’s advocacy of nation-building through entrepreneurship and leadership.